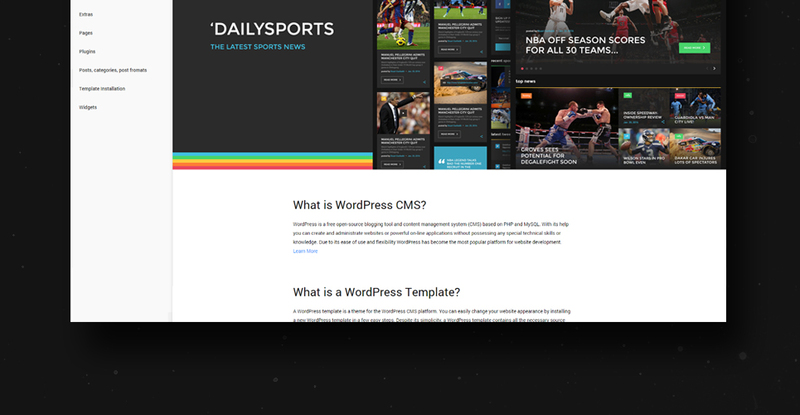 DailySports is a comprehensive blogging WordPress theme, which is most suitable for sports- and entertainment-related websites due to its dark palette. The content blocks are marked with bright horizontal lines of different colors, making it easier for your readers to navigate through the themes complex magazine-like layout. The homepage is crowned with a convenient dropdown menu followed by a large image-based slider and two content blocks - for top and featured news, respectively. The sidebar is completely marketing-oriented, comprising a Twitter box and a newsletter form. Each blog post preview is supplied with a set of social buttons for Facebook, Twitter, Google Plus, and YouTube. 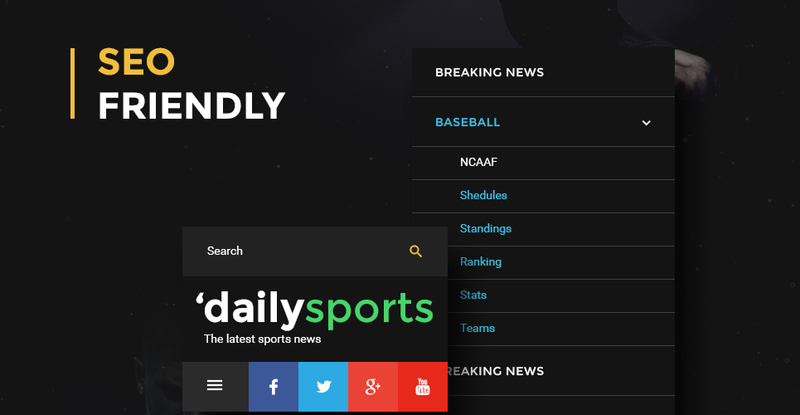 DailySports is fully responsive, and is built in a way to improve your website's positions in SERP. Implementing such a framework drastically speeds up the entire process of constructing web pages. Regular styles are easy to change, which provides an adaptable and simple procedure for building website templates. Cherry Framework 4 is a free WordPress framework in which all important features are integrated into plugins. 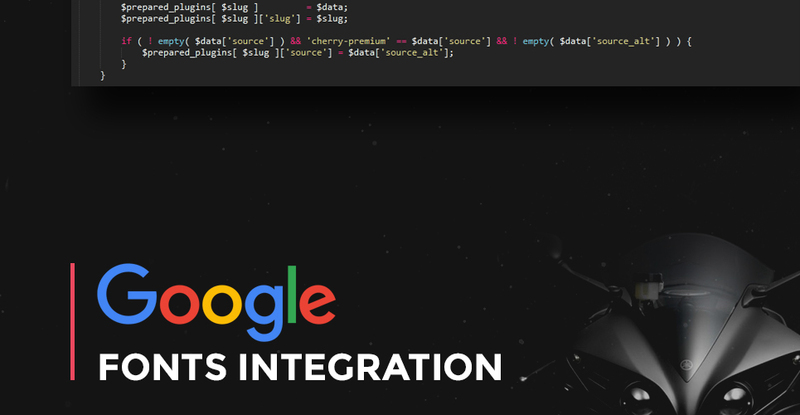 The integrated Wizard extension provides for the easy setup of all of components of the framework. Establishing custom made shortcodes is made achievable with the Shortcode Template Editor. The framework includes a lot of pre-built blog site and website page styles. Furthermore, you may make custom ones using Static Area Builder. Responsive design renders a web page exact same nicely on any specific display size. Along with the increasing popularity of mobile devices, the quantity of users who log on to the internet sites from phones has expanded a lot. Such a aspect allows you to modify websites to mobile devices and different screen extensions, eventually offering smartphone owners with improved opportunities. Along with the clarity and beauty of the picture, this display has the best visualising angle. And at the same time - no restrictions on the display speed. 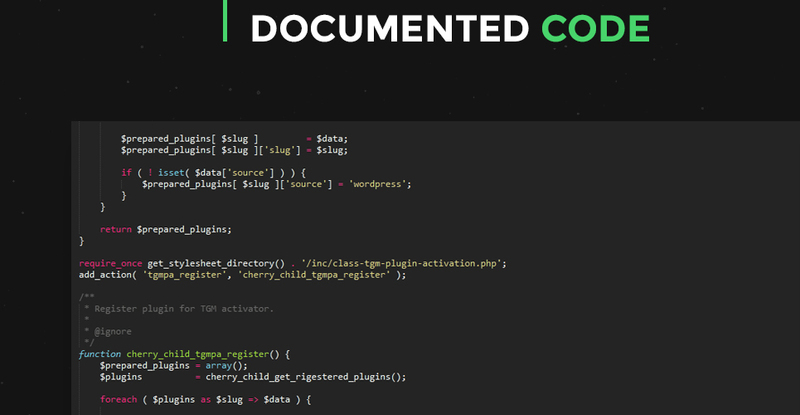 WPML ready implies that the template is compatible with the WordPress Multilingual Plugin. It doesn't matter if you curently have clients talking a distinctive foreign language, or maybe just plan to grow your business elsewhere - WPML extension will help you with that. It can be appropriate for lots of the current page builders and CMS. So that you don't need to be concerned about this. Can I resell the WordPress themes for Nba Basketball I bought the extended license for? No, you cannot resell the WordPress themes for Nba Basketball as is. You can only sell them as the integral part of your new product. 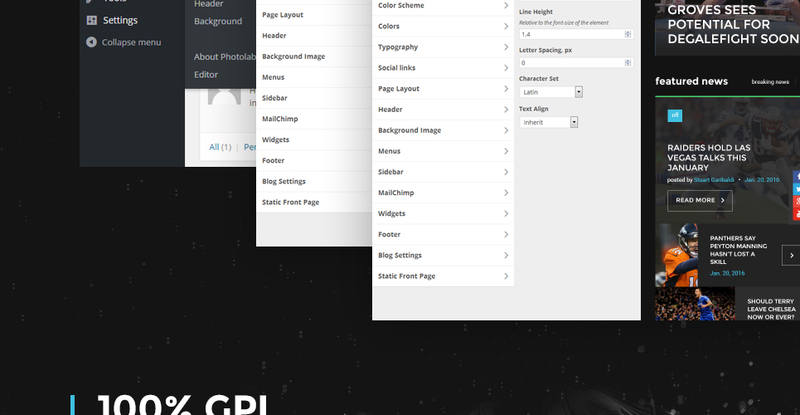 Are images included in the WordPress themes for Sport released under GPLv3.0 license? In the WordPress themes for Sport released under GNU GPL v3.0 images are not included and are used for demo purposes only. What is a unique purchase license for WordPress theme for Online Basketball? If you purchase the product at a â€˜Unique price' it guarantees that you are the first and the last person to buy this WordPress theme for Online Basketball from us. It means that this template has not been sold before and you become an owner of a unique design. After this kind of purchase the template is being permanently removed from our sales directory and is never available to other customers again. The unique purchase license allows you to develop the unlimited number of projects based on this template, but the template should be customized differently for every project. Can I get the extended license for some other pricing than the half of the initial WP theme for Basketball Blog price? No. The price for purchasing license for a single WP theme for Basketball Blog is the half of the template unique price. 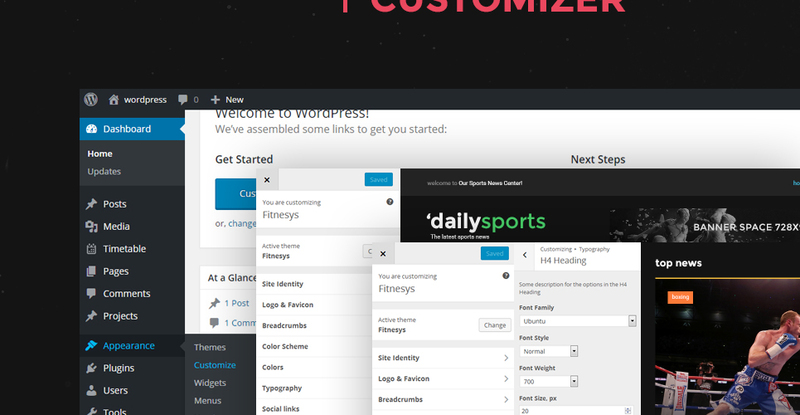 Are your WordPress templates for Sportscompatible with any CMS? What will I see instead of the images after installation of the WP template for Sports Reports? After WP template for Sports Reports installation you will see blurred images included for demo purposes only. 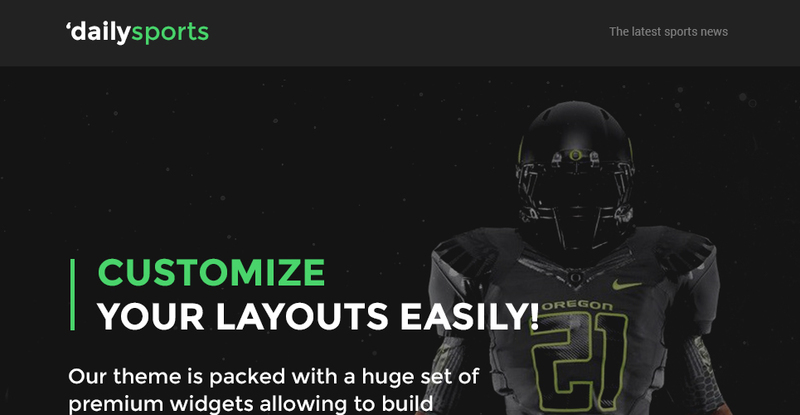 Can I resell the Sports Section WordPress design as is? No, you cannot resell the Sports Section WordPress design as is. How can I modify Basketball Store WordPress template to suit my particular website? Please visit our Online Help Center to obtain detailed instructions on editing Basketball Store WordPress template. Can I contact the Sports WP theme author? Yes. You can contact this Sports WP theme author/author's team directly using your personal account under the Support tab. I would like to make payment for WP theme for Basketball Team by company check. Is that possible? Please use Skrill payment option. They accept payments by check.You can place an order for WP theme for Basketball Team on the site under the name of the company and choose Skrill merchant system for making payment from the company's account. To initiate bank transfer, please create an account here - www.skrill.com, add the number of your bank account and verify it. After that, you can place an order on our website and choose Skrill on checkout page. When the payment is made, the product will be sent to your e-mail along with the invoice under the name of your company. Will the WordPress design for Basketball Store be deleted from TemplateMonster database? No, the WordPress design for Basketball Store will not be deleted from TemplateMonster database. Are there any limitations on selling the WP template for Sports Reports as the integral part of my new product? Will TemplateMonster help me to edit my WordPress template for Outdoors & Travel? TemplateMonster offers you a variety of sources to help you with your WordPress template for Outdoors & Travel. Use our comprehensive Online Help Center to get the basic knowledge about your WordPress template for Outdoors & Travel. Our Knowledgebase contains customers questions and most frequent problems. Anyway, you can always use TemplateMonster 24/7 phone support, try our Ticket System or Live Support Chat to get qualified assistance from our support representatives. 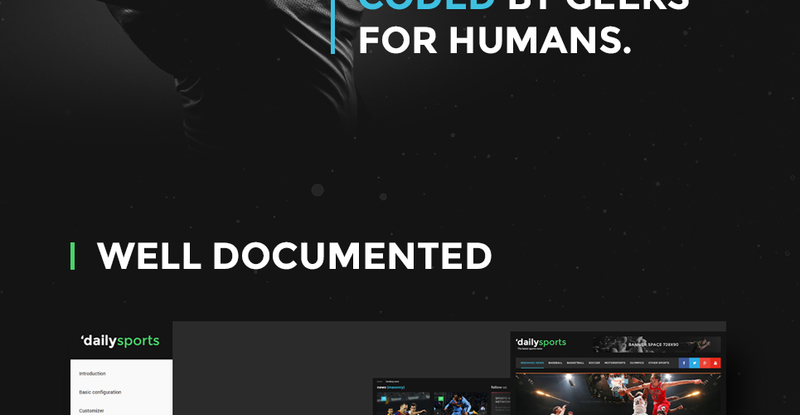 I like the image from the WordPress design for Sport Kit and would like to use it for my advertising campaign, can you send me this image in a higher resolution? 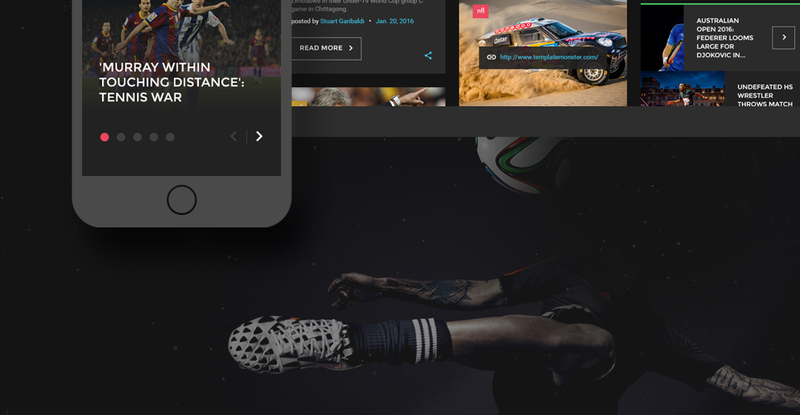 No, we can't provide image in higher size or resolution rather than it is on the WordPress design for Sport Kit. We recommend looking for professional images on online photo resources. What is the difference between unique and non-unique WordPress theme for Extreme Sports purchase? Non-unique purchase:Non-exclusive purchase means that other people can buy the WordPress theme for Extreme Sports you have chosen some time later.Unique purchase:Exclusive purchase guarantees that you are the last person to buy this template. After an exclusive purchase occurs the template is being permanently removed from the sales directory and will never be available to other customers again. Only you and people who bought the template before you will own it. 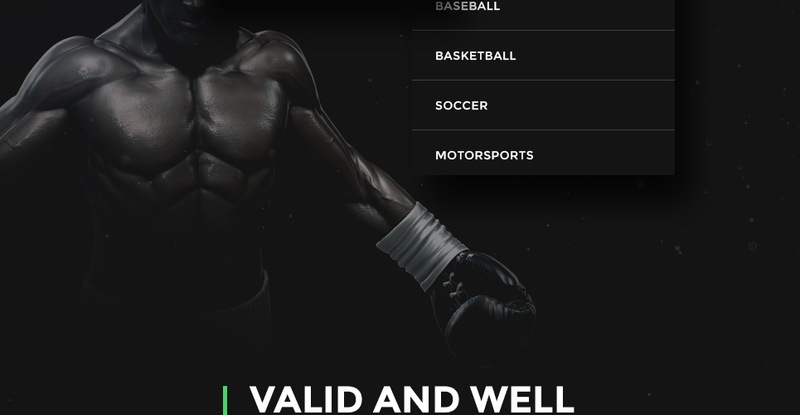 What is a one time usage license for a WordPress design for Sports Store? When you buy the WordPress design for Sports Store at usual price you automatically get the one time usage license. It enables you to use each individual product on a single website only, belonging to either you or your client. You have to purchase the same template again if you plan to use the same design in connection with another or other projects. When passing files to your client please delete the template files from your computer. Can I resell the customized WP theme for Travel? Yes, you can redistribute WP theme for Travel under the terms of the GPL as well. How many applications, programs etc can I use to integrate with the WP templates for Sport Journal under one extended license? 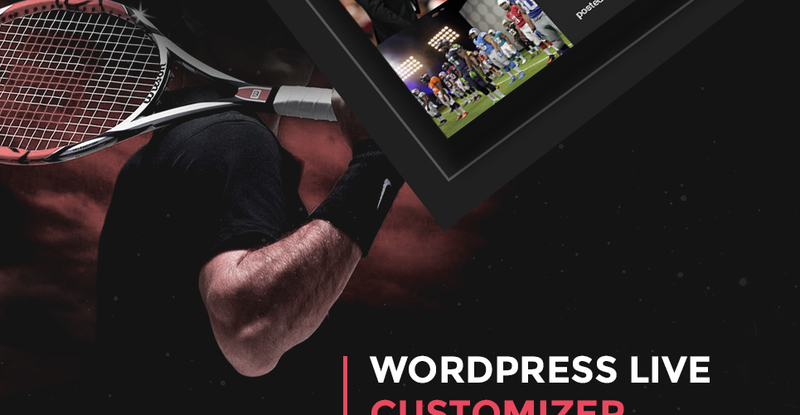 The extended license gives you the right to use the purchased WP templates for Sport Journal for the integration with one software/freeware/application/CMS/sitebuilder only. In case you would like to use the template with the other application, the other license is to be acquired. 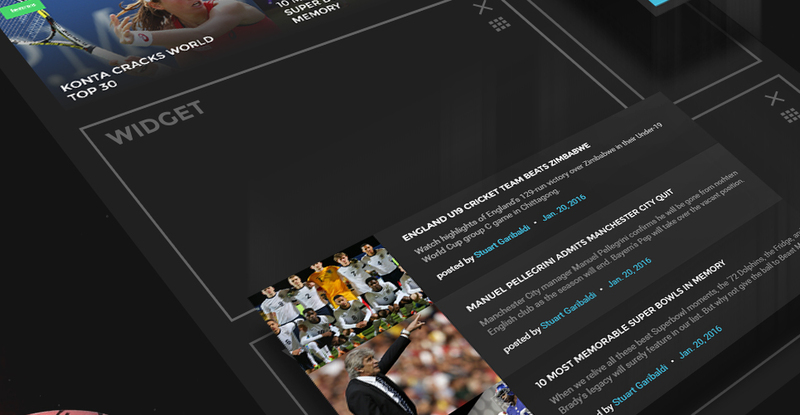 Do you provide any scripts with your WordPress design themes for Sport Page or could you do some custom programming? Our templates do not include any additional scripts. Newsletter subscriptions, search fields, forums, image galleries (in HTML versions of Flash products) are inactive. Basic scripts can be easily added to a WordPress design for Sports at www.TemplateTuning.com If you are not sure that the element you're interested in is active please contact our Support Chat for clarification. 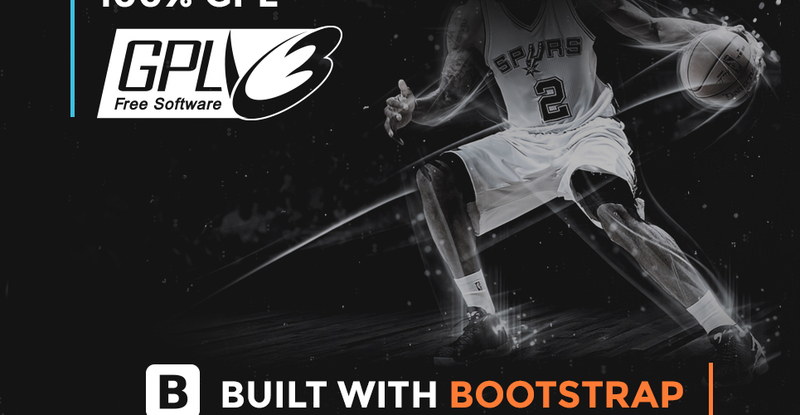 What is Developers License for WP theme for Basketball Blog? If you purchase a Developer's license, you are granted a non-exclusive permission to use the WP theme for Basketball Blog on up to 5 domains for projects belonging to either you or your client. 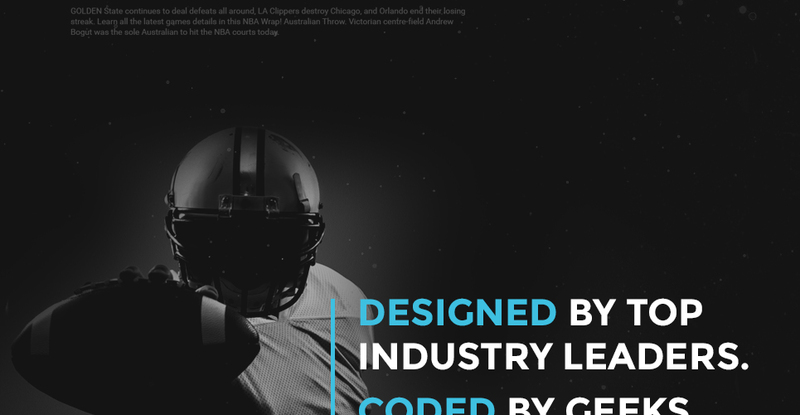 Can I put a line at the bottom (or any other spot) of my new product "Website development by Company name" after purchasing Basketball Store WordPress template? Yes, you can place a note at the bottom (or any other spot) of my product "Website development by Company name". 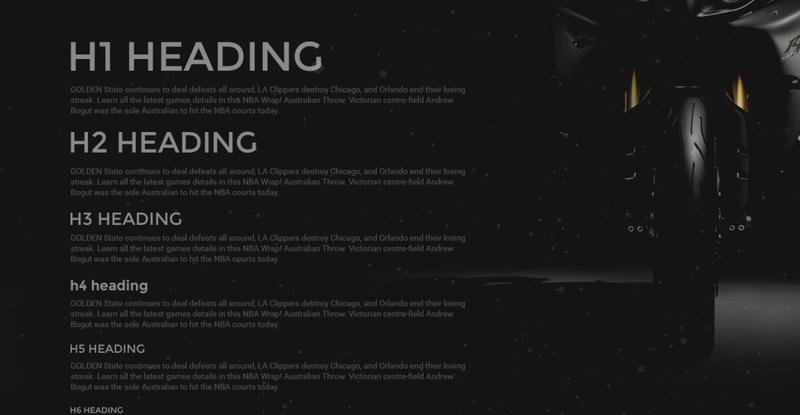 Nevertheless, you cannot place "Website design by Company name"while using one of Basketball Store WordPress template. 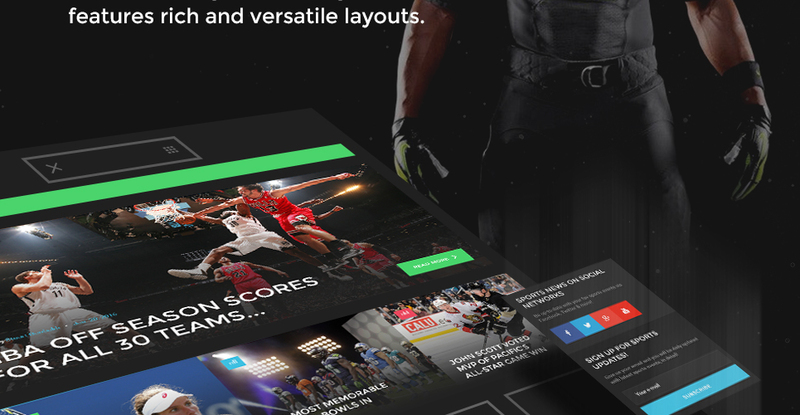 Can I resell the customized Sport Journal WordPress design theme? No, you cannot resell the customized Sport Journal WordPress design theme as a template but you may sell it as a project to your client (see paragraph 1 ONE TIME USAGE LICENSE for more details). Is it possible that Template Monster will contact my client which website I made from Template Monster's website Outdoorssports WordPress design theme? Yes, our legal department checks licenses regularly. In case we won't find designer's contact information on the site which was made from the Outdoorssports WordPress design theme of ours we will contact the owner of the site directly. Template installation documentation is not very precise. The images in the demo is not provided. This theme is elegant and mobile-ready. Although I found that it lacks some essential features. For example, there is no way to set the sidebar for all the posts, you have to check it for every post created. In addition, some widgets need to have updated functionality (like selecting categories, etc). Also, The default post list cannot be added in a custom area. This elegant service for all customers - quickly, inexpensively , with guarantees . This is very cool for web studios - save on the costs and the content of the designer in the state - to reduce costs, increase revenues . Always a pleasure to work with the professionals here and a strategy , and marketing. There is much to learn , there is food dyal thought. This is a cool project , and thank you all for the good work . Great theme, easy to use, responsive on different media devices, elegant and stylish! This vibrant responsive Wordpress template was perfect for our needs. The client was very happy with the layout, navigation and overall features. The template was easy to install and simple to customise. The widgets were easy to update and quite intuitive. We have been used to working with Cherry Framework child themes so there was an initial learning curve but we quickly found our way around and delivered the final site to the client. I liked so much this template, it was perfectly designed and prepared for programming.